Our counselors provide Academic, College, and Personal Counseling in individual and group settings. 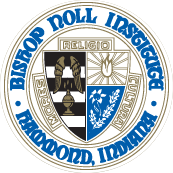 The Guidance Department works as a team to insure that all Bishop Noll students have a positive high school experience, and that students have the support needed to reach their potential as individuals. Click the links below for more information. Click here to make an appointment with Ms. Arnold. Click here to make an appointment with Ms. Ramos. Click here to make an appointment with Ms. Comer.